A dilemma for me has often been how to nail up fine wood molding without marring it with large unsightly holes or peppering it with oodles of smaller holes. 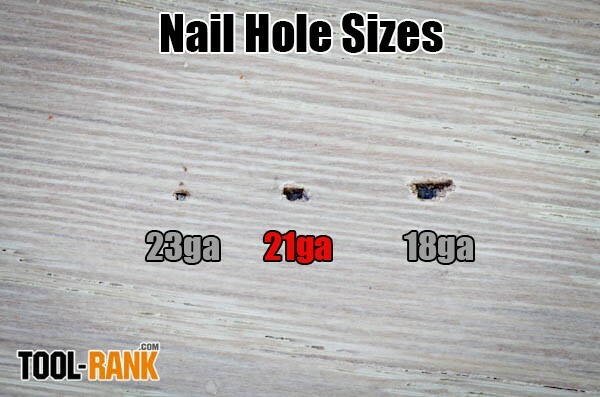 When it comes to nailing trim work, is it possible to have the holding strength of an 18-gauge nail while leaving a mark not much greater than a 23-gauge headless nail? 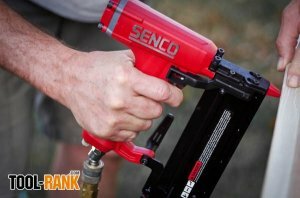 Senco may have the answer with their new 21-gauge slight-head pinner. 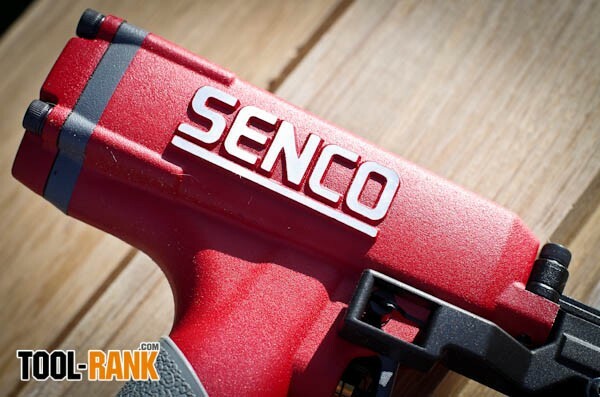 The Senco Finish Pro 21 LXP is a professional caliber tool with all the features a woodworking tradesman would expect. Handling nail lengths from 5/8” to 2”, the Finish Pro 21 LXP weighs in at just 2.7 lbs, uses the duel trigger safety mechanism common in the smaller pinners, and has a reversible belt hook. 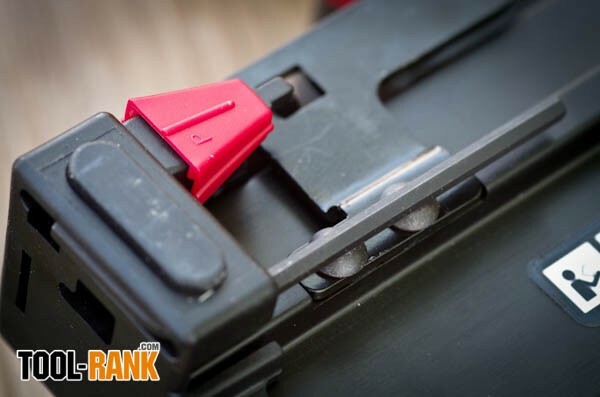 With a last nail lock-out feature empting the magazine down to the last three to five nails, you can be confident that you won’t be shooting blanks. 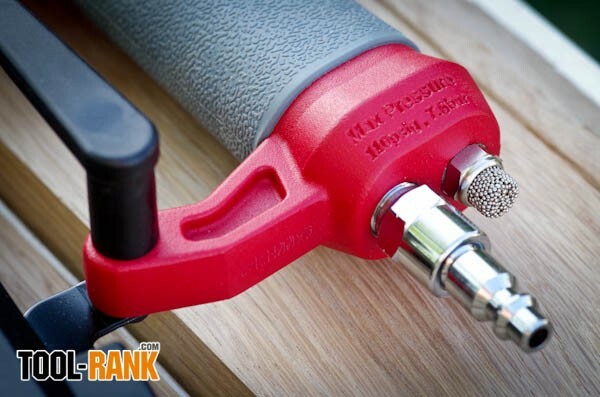 The tool also comes installed with a swivel air plug—great not to have to equip it that way yourself; and also has an air exhaust muffler that disperses the air nicely. The guys and I spend most of our days in the field working with fine pre-finished millwork; and with such, precision nailing is as important as marksmanship at the target range. But even the well placed 18-gauge brad, our weapon of choice over the large 15 or 16 finish nail, could at times be too much nail. So, when the small 23-gauge pinner first came out, we all seemed to rush out and add that gun to our arsenal, to use especially for outside corners when nailing crown, base or chair rail; yet, while fastening to walls, the pinner was quite inadequate. The 18-gauge brad works well attaching molding to the wall, but nailing corners or in tight spots, not so good. 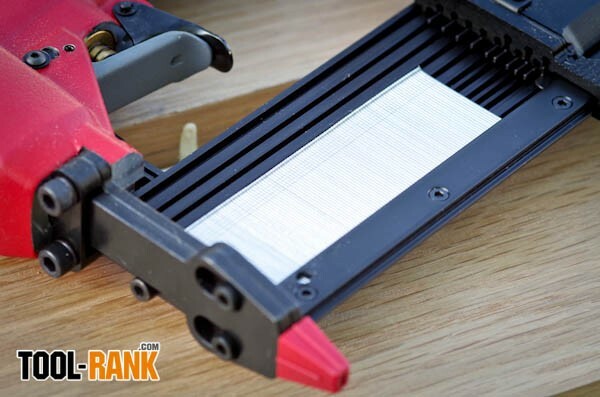 The safety tip has to be pressed against the material making tight alignment awkward if you are holding your pieces together with your hands. Also the jolt, or recoil, while firing can misalign your pieces in the process of adjoining your work, leaving you with a sloppy gap. 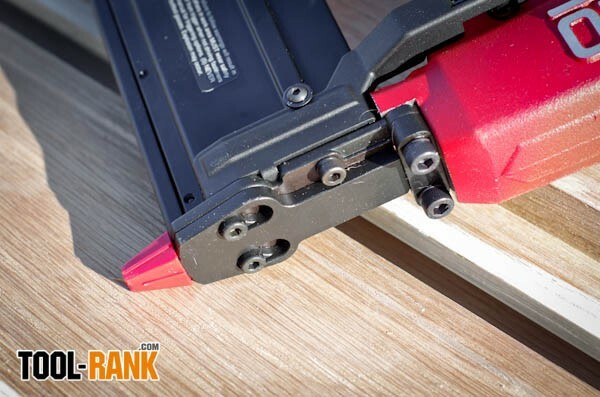 The 23-gauge pinner, with a safety trigger rather than a depressing tip, works great for attaching pieces together and for getting into that really tight spot. The pin drives in without a jarring impact; and in the end your joints look great and the holes are barely noticeable. But, if fastening to the wall, you better use a lot of adhesive. Using two brads/pins, I attached a small piece of molding to a wall with backing. In an attempt to dislodge the piece, I struck the molding with a 3 pound weight at 6 inches. Both the 18-gauge brad and 21-gauge pin held the molding in place until the third impact. So, my conclusion is that Senco might lose sales of its 23 and 18-gauge nail guns to the new Finish Pro 21 LXP. A closing thought: Though the guys and I really embraced the 23-gauge pinner, and own a variety of brands, we all have had problems with the drivers breaking. Maybe due to the small size, or striking something other than wood, the tip snaps and the gun goes down for the count. 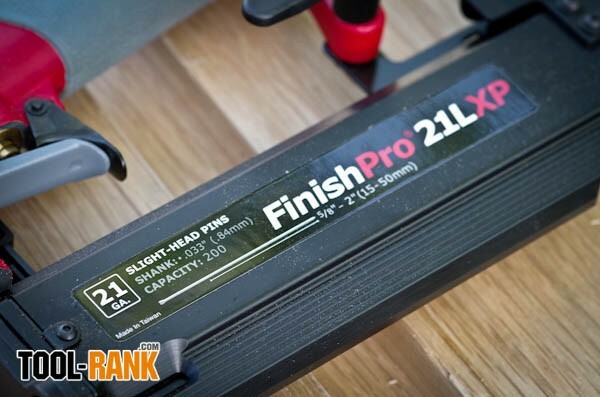 Now I haven’t used the Senco Finish Pro 21 LXP to the extent of wearing out the tool, but I am hopeful that the larger gauge won’t be as likely to break.